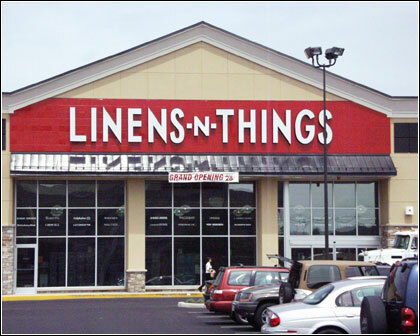 The eight tenants are (opened during July): Staples, Starbucks, Bear Rock Café bakery and coffee house, Linens ‘n Things, and a branch of Bank of America; (opening in August): The Paper Store and Verizon; and (opening by Labor Day): Romano’s Macaroni Grill Italian restaurant. 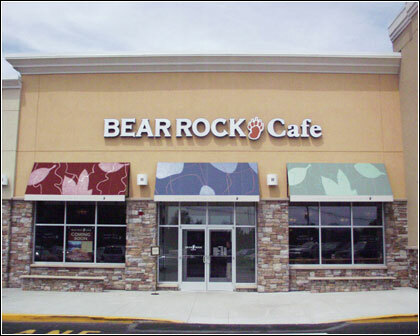 This is Bear Rock Café’s second shop in Massachusetts. The Paper Store operates 20 Hallmark Gold Crown stores in Greater Boston. Romano’s is a division of Brinker International which operates over 1,500 restaurants under several names. Over a five-year period, before the first shovel touched the ground, the development team led by Dickinson and Vice President Ed Shaw, hammered out details of the complex project that sits atop a former town landfill. 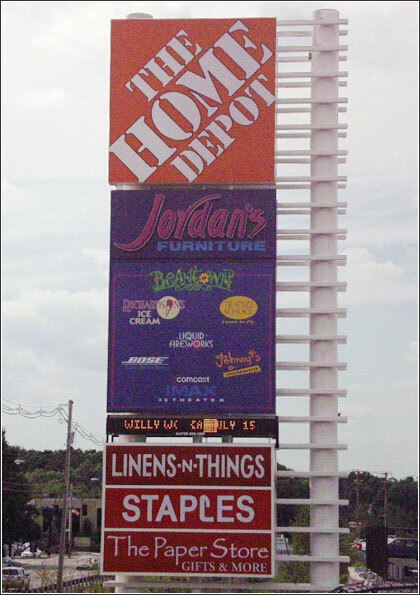 In the fall of 2004, Phase I — consisting of Home Depot and Jordan’s Furniture — opened to rave reviews. 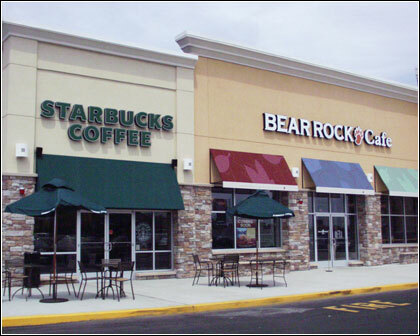 The two retail giants share a common footprint. Home Depot consists of 140,000 square feet and Jordan’s Furniture comprises 260,000 square feet including an IMAX theater. 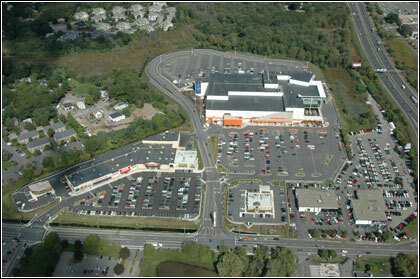 An adjacent Chili’s Restaurant opened in September, 2004, to complete Phase I.
Ed Shaw said, “Because the site is a former landfill, the topography forced engineers and architects to overcome significant geotechnical and environmental hurdles, and to employ a unique vertical-box design.” A public-private consortium including local and state agencies worked with the Dickinson team which closed and capped the landfill, saving the town about $4-$5 million. Dickinson paid $3 million for the site to the town of Reading, and worked closely with the state’s Department of Environmental Protection. Adjacent road improvements were made possible by a $1.8 million Public Works Economic Development grant (PWED) from the state. It is estimated that The Crossing at Walkers Brook will bring about $750,000 annually in new property taxes to the town plus millions in sales and income tax revenue to the Commonwealth. In addition to 1,000 construction jobs created during construction, about 1,000 full and part-time jobs will be created on the site. Dickinson’s development team includes: project partner Pinnacle Partners; construction consultants and contractor Pinncon, Inc.; architects Carter-Burgess; and engineering firms Haley & Aldrich, VHB, Inc., and Dufresne-Henry. Morris & Morse Co, Inc., of Boston served as financial advisor to Dickinson. Leasing was handled by The Wilder Companies. Founded in 1980, Dickinson Development Corporation is a commercial real estate development company that has developed over three million square feet of office, retail and industrial space and hotels in New England and Florida. The company is seeking similar development opportunities in southern New England. (For more information, contact Ed Shaw or Mark Dickinson: 617-770-1955 or visit www.dickinsondev.com).